Train for a Career in Surgical Technology! Surgical Technologists play a vital role in health care today. They work closely with surgeons in the operating room, keeping the surgical instruments in order during procedures, managing operating room supplies, identifying medications used during surgery, and much more. The Surgical Technologist program at North-West College can help prepare you to begin an exciting and rewarding career as a trained Surgical Technologist. 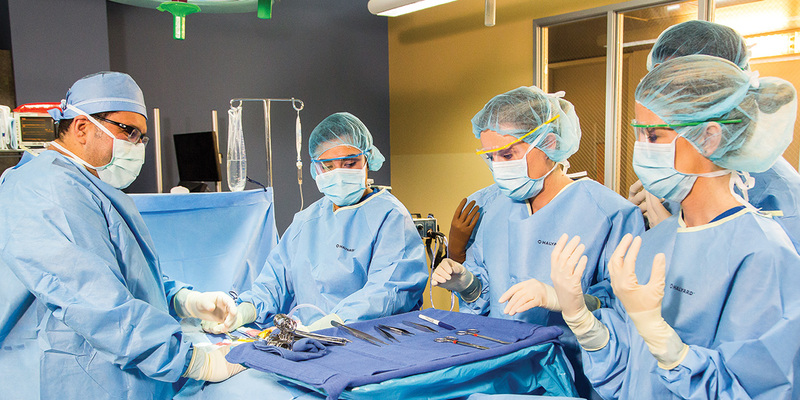 This program can teach you the real-world skills you need to assist before, during and after surgery, including how to prep patients for surgery, gown and glove the doctor, organizing the instrument table, managing operating room supplies, and more. The Surgical Technologist program is accredited by the Commission on Accreditation of Allied Health Education Programs (CAAHEP) upon the recommendation of the Accreditation Review Council on Education in Surgical Technology and Surgical Assisting (ARC/STSA).